If you saw the movie Avatar (and apparently, most of us did), you saw how the planet Pandora was composed of a gigantic neural network. Life, health, knowledge, strength -- everything could flow through these connections from one tree to another, and to the other living creatures that could tie into the network. So often, science fiction is based in reality. Trees unquestionably maintain a network beneath the ground. As an arborist, you ignore that network at your peril -- because diseases can be transmitted from one tree to another through root grafts. 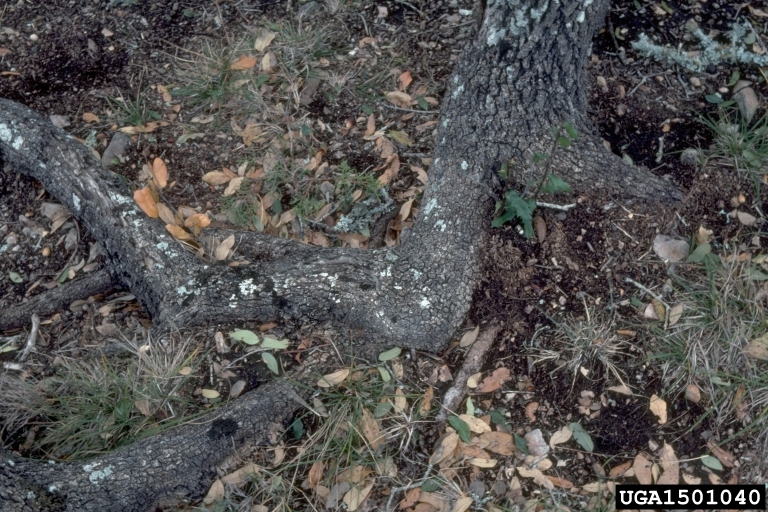 Trees of the same species are often able to connect their roots and establish a back and forth flow of nutrients and fluid -- and some potentially deadly stuff as well. Which is why, when we consider how likely a diseased tree is to infect others, we need to think of the connections below the soil as well as well as more obvious methods of transmission (like insects). Dutch Elm Disease is a prime example. If there are nearby trees of the same species, we try to sever those root connections by removing the diseased tree, roots and all. Then we inoculate the remaining trees and hope we got there in time. There is more and more evidence that these neural networks allow trees to work cooperatively. If a tree is stronger and better situated -- perhaps where water is more available -- it can actually send fluids over to its thirstier cousin. And the same seems true for nutrients and beneficial fungi. "A little more phosphorus over here, please." Here's a link to an interesting video made by Professor Suzanne Simard of the University of British Columbia. She suggests that these underground connections are sophisticated enough to be actually called communication.